In our previous post we tried to write about the popular Barcelona beaches. Here we will continue to mention about other beaches in Barcelona. Some travellers desire silence and loneliness for some time. We have a great suggestion for this option. Ocata Beach in Barcelona enables you have time in quiet atmosphere. The beach is long and wide. It's in North of the city with a half hour trip by train. Here you can see Ocata in the map. Generally, northern beaches in Barcelona are quiter. There are bars along the beach also. You can get on the train Sants, Plaça Catalunya, Arc de Triomf and Clot stations for Ocata Beach. The other great beach that you can go is a little further but it's worth to take this trip for its great sandy beaches. 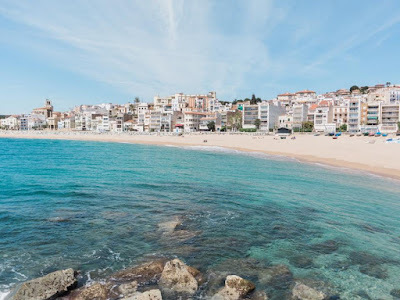 St. Pol de Mar Beach in Barcelona is 50km away from the city but train journey makes you see the other beaches during the journey and it makes you feel more excited to swim and pass time on the beaches. 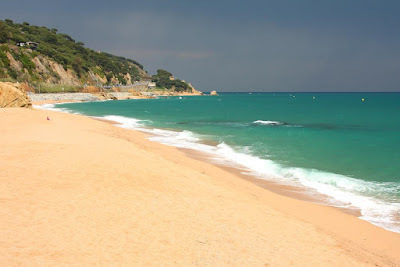 For swimmers whom like relax and quiet beaches Sant Pal de Mar is one of the best options. The water is really clean and you may come across a few tourists. On the top of the mountain there is a small church called Sant Jaume which is an example of Gothic times. You can get on the train Sants, Plaça Catalunya, Arc de Triomf and Clot stations for St. Pol de Mar beach. We will continue to write about beautiful beaches in Barcelona. Barcelona travel gets better with Barcelona city guide. I hope you can decide the best Barcelona beaches according to your preferences. Barcelona beach photos will be in the next article for travellers that are looking forward to swim at great sea in Barcelona city.